The goniometer stages WT-90 and WT-120 are developed for all tasks where conventional rotation stages cannot be used due to limited space conditions. Typical uses are applications in the area of laser positioning and radiology. The goniometer stages are matched in order to work together. When orthogonally mounted to each other they have a common rotation center. 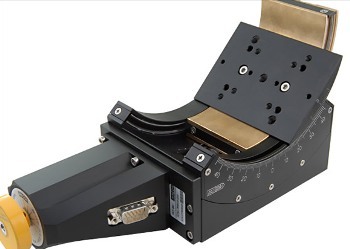 WT-90 is equipped with a ground bearing guide. The hardened and ground worm screw and worm gear combination produces a very quiet and smooth motion. The stages are directly driven by a DC or 2-phase stepper motor and can attain a relatively high speed. 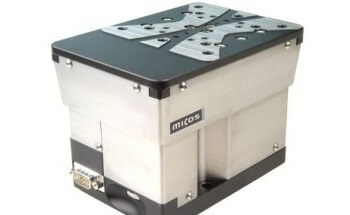 WT-90 stages can be equipped with optical angular scale system and have two limit switches.